Tag Archive | "derek gunn"
Vampire Apocalypse: Prologue at DriveThruComics! Publisher New Baby Productions announces that a graphic novel adaptation of Derek Gunn’s acclaimed Vampire Apocalypse novel series is in the works. “I’m really thrilled with this new direction as I always felt that (Vampire Apocalypse) really lends itself to this format,” stated Gunn. Vampire Apocalypse: A World Torn Asunder was published in September 2006, and has been optioned by producer/screenwriter Richard Finney to be a feature film. A script has already been penned by Finney and Franklin Guerrero Jr. Fallout, the third book in the series, was released this October from Black Death Books. Now you can download the Vampire Apocalypse: Prologue mini-comic for free at DriveThruComics.com! Fallout is the third volume in the Vampire Apocalypse series written by Derek Gunn. This story picks up almost immediately after the previous book, Descent into Chaos, wraps up. Now, the free humans are still recovering from the events of the previous novel, and have new challenges to face. Burdened by a huge influx of rescued people to their hidden community, the main characters have a lot of challenges weaning them off a deadly serum and integrating them into their new lives as survivors and freedom fighters. VAMPIRE APOCALYPSE will be a 140-page full-color graphic novel based on the critically acclaimed Vampire Apocalypse book series written by Derek Gunn. New Baby Productions licensed the graphic novel rights to the novels. This new graphic novel adaptation will be scripted by CJ Hurtt, an eclectic writer whose work has run the gamut from mainstream to horror to slipstream to political drama. Federico Combi, a visionary artist from Argentina with a comprehensive fine arts education, provides a realistic painted style that fits the dark tone of VAMPIRE APOCALYPSE perfectly. New Baby Productions has launched a Kickstarter page to raise initial funds for marketing and pre-production costs for this graphic novel. Supporters of this project get access to behind-the-scene updates, previews and other exclusive materials. FALLOUT is Derek Gunn’s latest book in is his Vampire Apocalypse series and it’s now available from Black Death Books in a trade paperback edition. In this military/post-apocalyptic series the Vampires rule. Humanity is enslaved in a nightmare world where those who are still alive are bred as food for the vampires and the entertainment for the vicious thralls who guard them. According to the author this installment sees vampires pitted against vampires and the thralls use this war to their advantage. But the small band of human survivors hold a secret of immeasurable power – a coating for bullets that can kill the vampires. 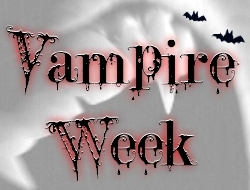 The thralls want it and the vampires must destroy it. But first they have to find them. Across the country another power struggle threatens them all and the doomsday clock continues to tick relentlessly towards Armageddon. Publisher New Baby Productions announces that a graphic novel adaptation of Derek Gunn’s acclaimed Vampire Apocalypse novel series is in the works. “I’m really thrilled with this new direction as I always felt that (Vampire Apocalypse) really lends itself to this format,” stated Gunn. 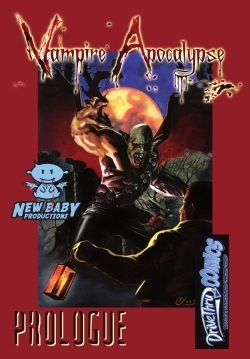 Vampire Apocalypse was published in September 2006, and has been optioned by producer/screenwriter Richard Finney to be a feature film. A script has already been penned by Finney and Franklin Guerrero Jr. Fallout, the third book in the series, will be released this October from Black Death Books. Irish writer, Derek Gunn, has sold a new novel entitled The Estuary, to US publisher, Permuted Press for publication in 2009. According to the author, The Estuary is a fast-paced, horror adventure tale, about a desperate plan formulated in the darkest years of an evil empire, which now threatens to engulf the residents of a small community in Southern Ireland. 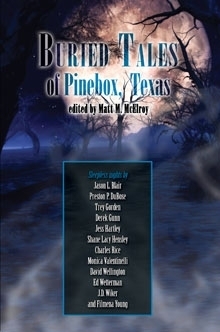 “I’m delighted that The Estuary is going to be published by Permuted Press who are making tremendous strides forward in publishing horror/post-apocalyptic genre fiction” says Derek. We have an early look at horror author Derek Gunn’s new Vampire Apocalypse novel Descent into Chaos. This is the sequel to A World Torn Asunder. Here on Flames Rising today we have the Prologue of the new book. It was still early evening but the relentless advance of the dark was already heralding its dominion as the sun began to slip slowly below the horizon. In places, patches of light still flared valiantly—though, ineluctably, they too began to give ground with each passing moment. Harris grinned wryly as he thought how fitting their predicament was as he and his fellow survivors defended themselves against the oncoming hoard in their last remaining stronghold. He rated their chances no better than the light that, even now, was relinquishing its last tenuous grip on the cityscape. The first battle is over and Nero is dead. Now the human survivors will pull themselves from the ruins of their base to find that the world is a very different place outside Nero’s territory. Nationally, the vampires have organised themselves into cabals but the scramble for power, raw materials and humans for their food, have led to an uneasy peace. Below the surface each state plots against the other and only the far-reaching power of the Vampire Council holds all-out war at bay.